Race To The Finish…ing System – Industry 4.0 Has Arrived! You’ve all heard it. Industry 4.0 has arrived. The buzz is getting louder about the “industrial internet of things” and how automation can enhance production with advanced technology. 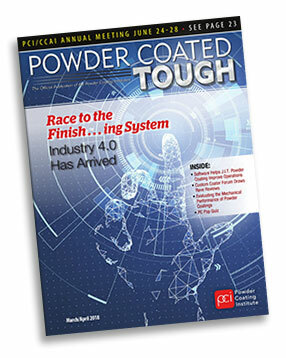 Our own John Claman has written an article for the Finishing Industry that is featured in the March/April issue of Powder Coated Tough magazine. Check it out to learn more about how embedding computer technology and computer system control in equipment can benefit you. A smart finishing system is within your reach!